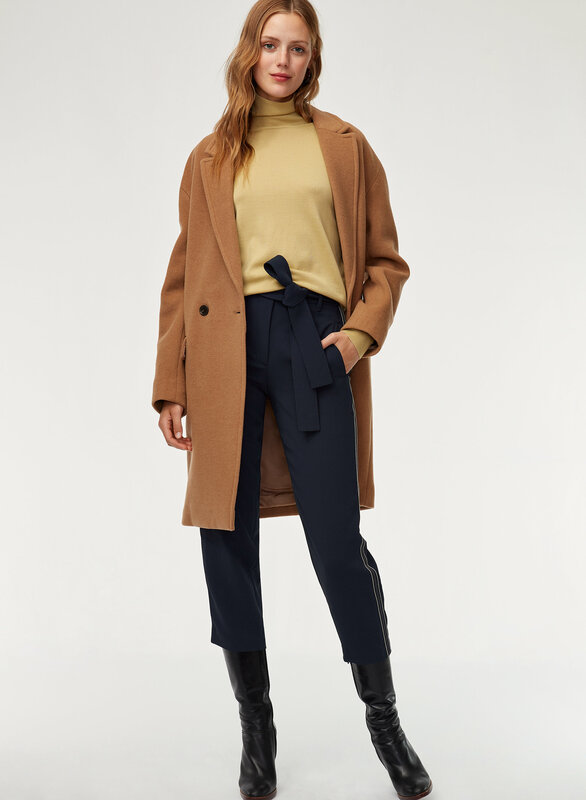 Styled with garon turtleneck and lyon wool coat . 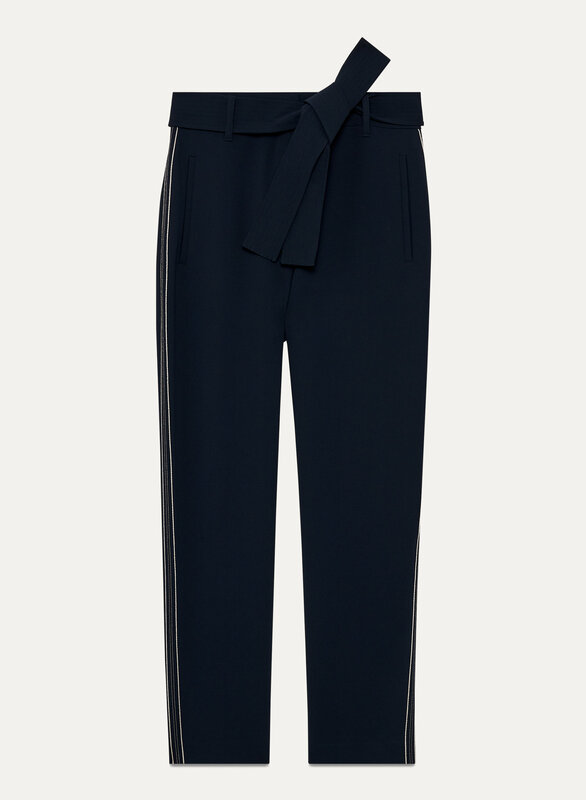 These high-waisted pants hang just right and look polished all day. This version has contrast stitching down the side to elongate the leg. 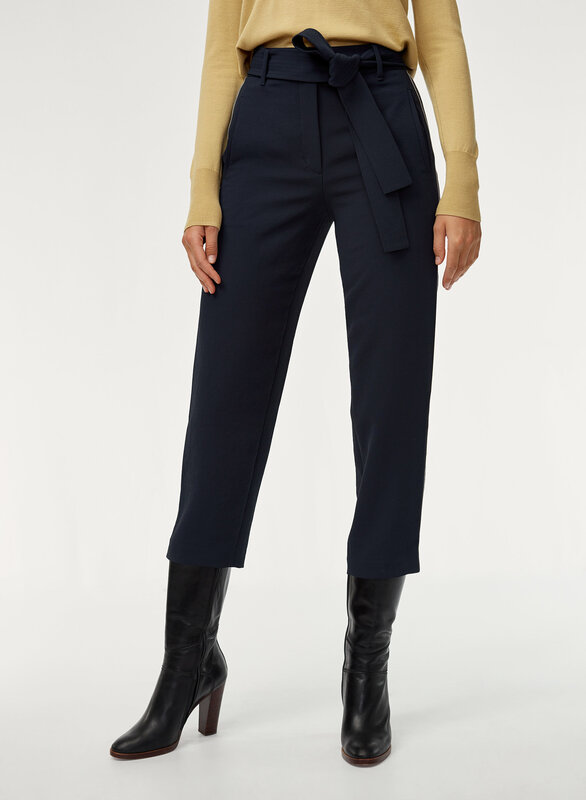 Love these pants - They look so nice and are work and life appropriate. So flattering and true to size. I wish I could get more. If you shop enough with Aritzia an Wilfred you'll notice that sizing is so consistant. If you are a 0 in pants, you can trust and buy any pair in your size and I'm sure they will fit. Love that! I’m short so I have to get it hem for the perfect above the ankle length. I’m usually 26 in jeans and the size 2 is a perfect fit. These are perfect! They fit so well and have a little bit of stretch to them which makes them very comfortable. Definitely recommend! Great quality and really flattering pant! I sized up so they were a little looser and flowed nicely. The belt is removable so very versatile for many outfit combinations! 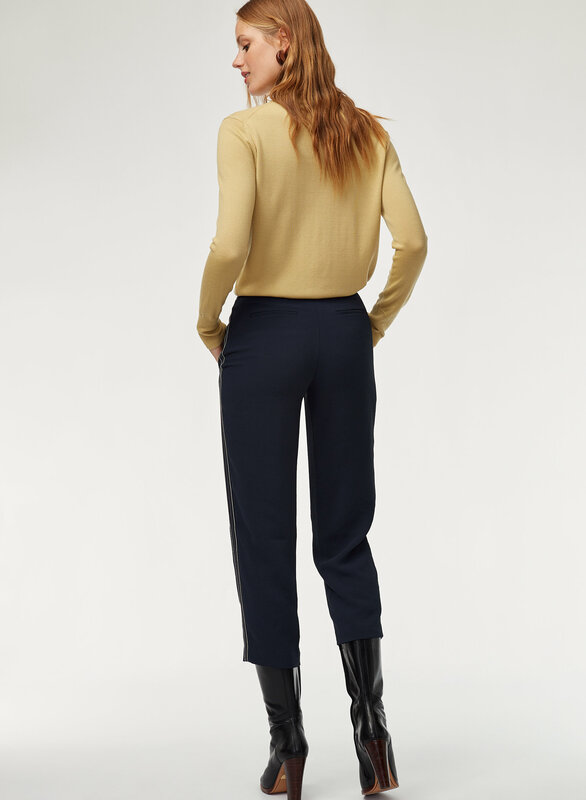 These high waist pants have great style. The fabric is thinner than the other Jallade I have purchased. That is why the 4 stars instead of 5. Absolutely love these. 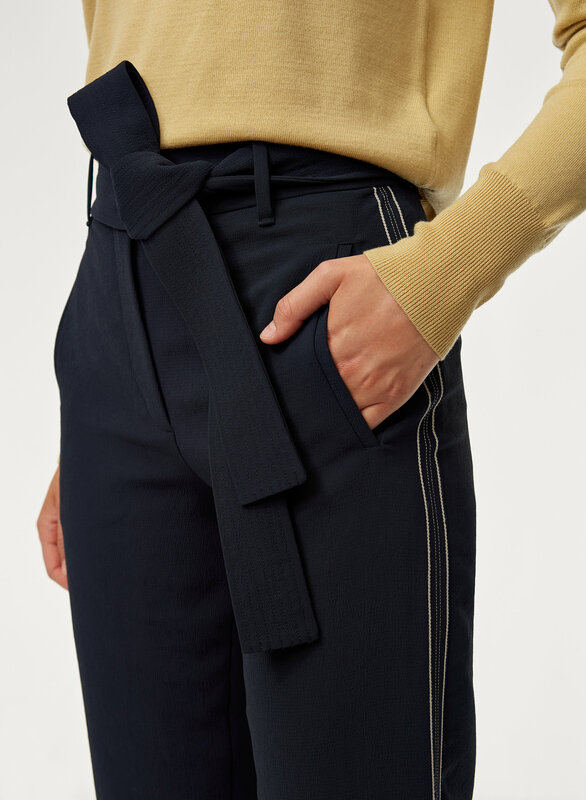 The sporty stripe on the side adds some extra appeal in comparison to the classic Jallade pants- these can be taken from office wear to casual with a change of shirt. Glad I purchased! Beautiful material and great fit. Have them in three colours. I’d recommend to everyone! Love these pants. I'm usually a 0-2 and a 2 in these pants fit me. I love these pants! I was a little worried when I ordered them because I wasn’t sure if they were going to fit but they fit me perfectly! The fabric is so comfortable and they are such good quality! I definitley would recommend these pants to anyone! The material of the pants is nice and is worth the sale price. Like all the Jallade pants, it fits tight, so go up a size. True to size and very comfortable. Wish they also made them in Tall sizes. I’m glad the sizing stayed true to the chart because I fit a 2 like my usual size at Aritzia. For reference, I’m 5’0 with a 25’ waist. The pant legs don’t sit above my ankles like the model so it doesn’t show off my boots, but it’s also not too long either. I have a hard time with the tie so I just thread it again through the belt loop. Waist is too small. Size 2 waist is not much different than the size 0, which I also have. They for true to size and they’re a really beautiful material. I found these with the striped fit slightly more fitted at the waist / thighs . As I have without the stripes I’m multiple pairs and they’re slightly more loose same size . Pants look great with everything and can be worn up or down , day to night . Wear this style everyday and would always recommend ! !